Will EEVEE Support VR (Equirectangular) Rendering? I realize it may very well be too early to know, but I scoured the 2.8 Development logs and I can’t seem to find any information on this. Will EEVEE support rendering for VR headsets (Equirectangular Spherical Stereo)? I am very interested in developing animations for VR, and would be quite happy if EEVEE supported it. I am aware the dev team plans to add dedicated Render and Animation buttons (as opposed to the Render Viewport buttons). You end up with a 3D 360 VR render. However, the Equirectangular option does not exist in the EEVEE camera tab. When making pre-rendered animations for VR that run at 60 FPS, render times in Cycles can take ages. I would love it if in the future, I could create these animations using EEVEE and save render time. Alright. Since the Panoramic option is still there but doesn’t do anything, my guess is they’re planning it but don’t have it fully implemented yet. In principle, nonlinear transformations like equirectangular don’t work well with rasterization (i.e. what your GPU does with Eevee), because there’s no efficient way to “bend” triangles out of shape. However, you can render to a cubemap (should be possible via script even without dedicated support) and then resample that into an equirectangular map (example program). well, it should be possible, UE4 does that. Panoramic fisheye equidistant for 2.8? At last blender conference, there was a talk about the benefits of using Grease pencil + VR to create a scene. There are devs dedicated to VR. I don’t doubt that VR support for EEVEE is a goal they want to achieve. Currently, EEVEE only renders images through OpenGL render buttons.Sampling for these images are limited to 16 AA samples as it was for BI. But Viewport Samples can go a lot higher than 16 samples. Motion Blur is not rendered. Panoramic button is present for Camera because it is same UI template with 3 buttons that was used for BI and Cycles. Button is there because it was already there, before. Not because the feature is expected to work for EEVEE. In a process of UI evolution, don’t expect everything visible to be related to Present. Things from the Past are visible. Things from the Future are visible. But it is possible that most of them are not presently working. Thanks for the info. I had a feeling EEVEE would still support VR, I just wanted to make sure. I look forward to when 2.8 officially releases. Things like Ansel do stereo 360 image capturing way faster though so there’s probably a better way that can be developed in Blender. But yes, Ansel is more optimal I think. Are there any news about panoramic rendering in Eevee? 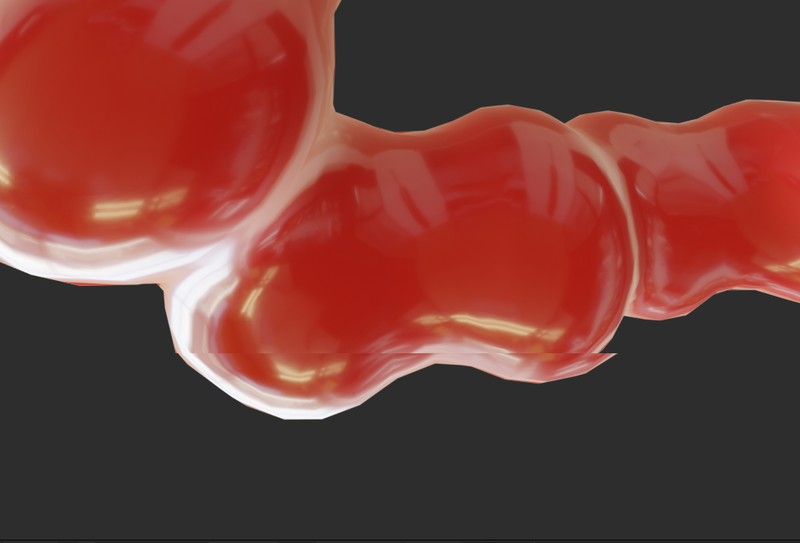 Although I’m not an expert in 3D, I don’t get why panoramic rendering is so difficult to emplement in Eevee. Technically speaking, panorama could be just a sequence of Eevee viewports attached to each other. But how do I get Evee to render a cube map? I tried the manual technique, it’s pretty close, only there’s one thing I don’t get. The top and bottom camera seems a bit offset for some reason, when I reconstruct the cubemap in photoshop. They don’t match somehow. Does anyone know what causes this ? The camera are all 90 degrees FOV, rendered at 1024x1024. They’re all positionned on the same point. I think I found out why. I changed the camera clip start value to the lowest value I could. It seems like it resolved the problem. Here’s my rig. You’d have to render each camera individually and then stitch the images in after effects or another software to make the cubemap. But it works, tested here in Montreal in the SAT dome. Thanks to UnitedFilmDom team, for their excellent tutorial and blender files rig. Like previous posts mention, it uses 6 cameras, from a single vantage point, each with a 90d FOV. The rig is a collection which you add to your scene. You render out in Eevee, preferably as a batch in seconds or low minutes, depending on hardware. You add the resulting 6 images to a UV mapped cube, with emitter shaders at each face, facing in. Then, using a camera in the middle (no other lights or objects, at all) you render with Cycles, with the built-in panoramic equirectangular camera. Finally you may add the metadata to view in a 360 VR viewer, like Google photos, Flicker or other. Extend camera screen space (not actual FOV) to overlap outside field of view. The rig and adapted workflow give 42.5 Megapixel VR panorama results, in a few minutes (about 5 minutes)!! Until that time comes, when it is supported, I have solved it! No seams. This is commonplace also with real world photography stitching, which deal with the different exposures between orientations, to generate panoramas. In response software (like Hugin or others, some built-in cameras like the Ricoh Theta) have built in the algorithms to even out the different exposures and blend at the seams. One idea is to stitch in external program like Hugin. For this it would be best to increase the FOV to say 120d for each of the six cameras, so the shots overlap. I’m sure this will work because I have tried it with real photography with much larger exposure differences. The other idea is compositing in Blender, to get rid of seams. Can someone implement this second one? A third (final?) idea is to brake up the total FOV into smaller and more cameras per rig. There should be less differences, when cameras are not directly at right angles to each other which will make the exposure more homogeneous and the seams less obvious. The problem here is that photos are rectangular so the sphere where they are projected needs to be made-up of rectangles so there is no cropping calculations added to the rig - a huge advantage of the cube is the simplicity of the geometry. Then I fed the set to Hugin’s Panotools, inputed the cubemap coordinates in PanoTools format (yaw, pitch) and gave the overlap corners for control points. This is saved as a .pto project file so you can rerun the set with new Eevee outputs with one click! Is there a way to repeat tile an Environment Map? What happens if you stitch together 1 pix wide strips? It’s gonna get a lot of images, but will all screenspace effects get lost?